We are beside Domino’s Pizza at the corner. Please ring the bill when you arrive. This is a 90 Minute Yoga Class for everyone providing a great warm up for this weekends workshops. You can also join as a stand alone class. With handstands it can be obvious that it is all about the journey. What you are doing right now is fundamental to your progression. This 2 hour workshop is broken down into 3 parts Firstly we will focus on conditioning- How can we create the strength and flexibility/ mobility required for various handstands? Secondly we will explore entry/ exit strategies and effective techniques when upside down. Finally we will look at transitions and movement when inverted. All three focuses are interlinked. Different flexibilities and strengths will change your press journey. Over the course of this workshop you will be given guidance and shown the steps to move towards mastery of arm balances. If you are completely new to arm balances, the impossible will start to be possible! This will be an opportunity to train and learn new techniques in a safe environment. The journey from your feet to your hands can have it’s scary moments but in this workshop you will be well looked after each step of the way. Handstand, one arm peacock, one armed side crow, and one armed handstand for those who are ready shall be explored. Suitable for complete beginners and experienced. Backbends sit at the heart of asana training and practice. If you can enjoy your backbends then your regular yoga practise is much more joyful and motivating! From Standing Bow/ Dancer, Cobra, Chest Stands, Wheel, Locust, Floor Bow or Camel, a regular yoga practise incorporating well aligned backbends is a wonderful foundation for health. With an emphasis on opening up your shoulders, hip flexors and spine, you will receive tools and homework to develop backbends in your practice. 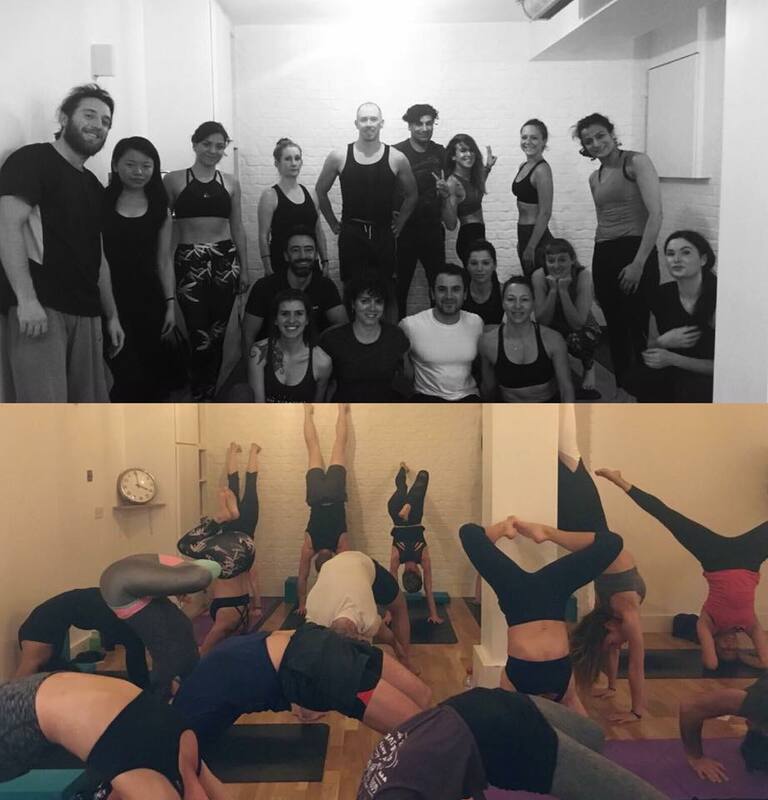 Whether you want to explore wheel, know how to get closer to locust, invert you backbend or simply incorporate techniques to help shoulder/ back issues, this hands-on workshop provides a space to get playful and try things you might think you can’t or don’t know how to do. With many opportunities to ask questions and get individual feedback you will be given alignment adjustments, assistance and the chance to explore and try out backbends in a safe and fun environment 2 hour workshop.